Since 2017, the FIM Supersport 300 World Championship has been a very welcome addition to the WorldSBK paddock, with 10 race winners and a further nine podium finishers in just two seasons of racing. 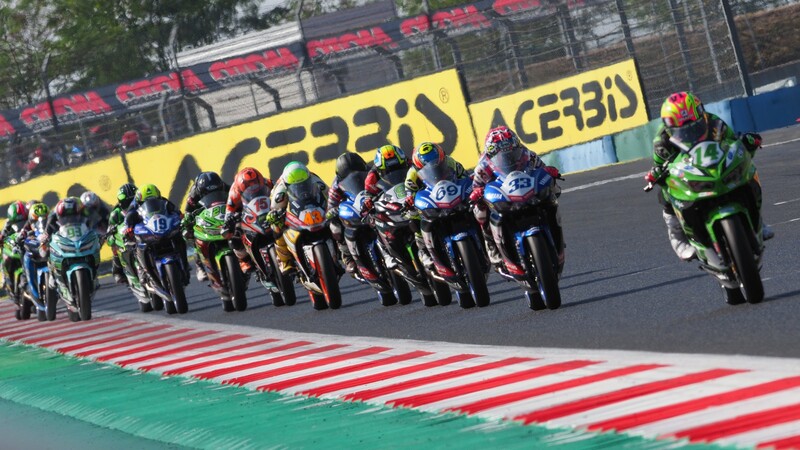 This year over 50 men and women from 16 different countries and five continents will challenge for the WorldSSP300 crown, in the biggest season yet for the always exciting feeder series. Who will be the stars of the 2019 season? We will certainly look to gain a clear indication after MotorLand Aragon. Reigning champion Ana Carrasco (Kawasaki Provec WorldSSP300) is looking to kick off her title defence in fine style at her home circuit – the Spaniard looking to make more history and become the first rider ever to win back-to-back WorldSSP300 titles, as well as looking to become the first female solo rider to do so. Carrasco has yet to achieve a podium placing at MotorLand Aragon, so whatever the result after the opening race, the championship looks set to come alive. Tough opposition is led in the form of Marc Garcia (DS Junior Team), who returns to the 2019 line-up, looking to take back his crown he earned in 2017. Garcia failed to finish in Aragon in 2017 so will be looking to start his season strongly. Previous race winners at MotorLand Aragon, Scott Deroue (Kawasaki MOTOPORT) in 2017 and Koen Meuffels (Freudenberg KTM WorldSSP Team) in 2018, will also be part of the battle again in Spain, with both showing great potential towards the close of 2018. Meuffels is hoping to give KTM a win in the class again, whilst Deroue will hope to head to the Netherlands a week later in fine form. 2018 championship runner-up Mika Perez (Scuderia Maranga Racing) will be hoping to improve his championship position this year and kick-start his title-tilt from MotorLand Aragon, where he has finished third for the past two seasons. South African rider Dorren Loureiro (Nutec – RT Motorsports by SKM – Kawasaki) had a strong end to 2018 and has been eighth in the past two seasons at MotorLand Aragon, making him a protagonist at the sharp end. Popular Indonesian rider Galang Hendra Pratama (Semakin Di Depan Biblion Motoxracing) is leading the Yamaha charge and looking to secure a third class-victory in as many seasons. MotorLand Aragon will be a test for the 20-year-old, as he has never scored points at the venue before. Other notable names include Borja Sanchez (Scuderia Maranga Racing), who is without a win in his WorldSSP300 career but has gathered three podiums. Manuel Gonzalez (Kawasaki ParkinGO Team) also comes into the season as one of the potential front-runners, having ended his 2018 campaign with three third-places. Riders will be split into two groups from Friday for Free Practice and Qualifying the following day, with the first-ever Last Chance Race taking place on Saturday afternoon. Then it’s lights out on Sunday at 15:15LT (GMT+2) for the first time this season! Will MotorLand Aragon deliver again? Find out with the WorldSBK VideoPass!